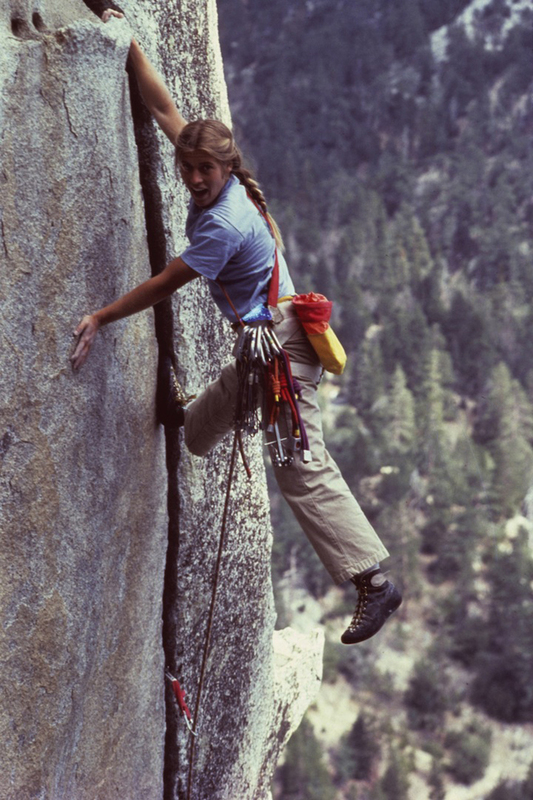 We had the pleasure of interviewing Lynn Hill today, pioneer in women’s rock climbing, and in climbing in general! She is the first person, man or woman, to free climb the Nose of El Capitan! According to Lynn, It’s the most iconic “big wall” rock climb in the world – there are 2 iconic rock formations in Yosemite, El Capitan and Halfdome. And it’s one of the iconic visuals of Yosemite Valley. Despite all her professional climbing accomplishments we also know Lynn is a mother and a genuine person with a great energy. 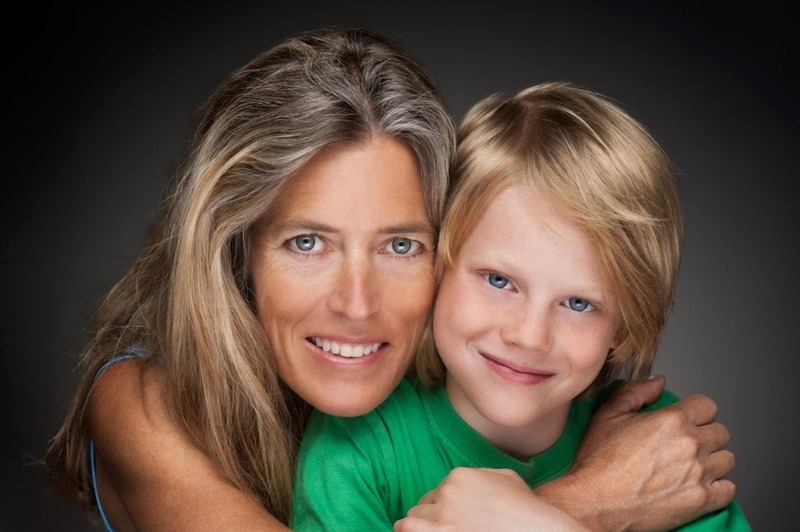 We wanted to touch on the topics of motherhood, as well as her favorite climbing locations, her views about the environment and about sexuality issues that women athletes are presented with in the professional setting. To learn more about Lynn check out her website and her book. She will be appearing in “Valley Uprising,” airing on Discovery on April 25th at 8pm ET/PT, a film that’s premiering as a part of Discovery’s Elevation Weekend (http://www.discovery.com/tv-shows/elevation-weekend/). How do you balance being a parent and a professional climber? It’s a typical juggle at times. I’ve been gone a lot in this last period and I don’t think it’s that good for my son. I’m going to turn down a lot of things that come my way in the next period. But there always seems to be people that convince me that their project worth me leaving. It’s always a struggle for me to make that balance work. It’s important to me to provide the stability for my son as well. I don’t usually travel internationally and on this trip I’ve done 4 different things — Moab, NY, Ohio, Yosemite. Is your son climbing yet? He usually only climbs when I’m on a camping trip with other people with kids. He likes to climb with other kids, otherwise he has no real interest at the moment. I can tell you that he has all the attributes of a climber from his temperament to the way he moves. He’s very powerful and has very good sense of body limits and balance. He’s into Parcore, he likes to play the drums and play with his friends… Of course, he’s of this generation and he likes to play on his computer. How has becoming a parent affected your mental game in climbing? I would agree with the general sentiment that when you have a child you are much more aware of taking risks and I don’t really allow myself to take risks such as free-soloing or dangerous routes that have a scary reputation because I enjoy climbing on routes that are safely protected. I do not want to get hurt or die over this [climbing]. It is my passion but it is not worth gambling my life, especially when someone else depends on me being there. I will say, that I definitely take calculated risks, but not what I would consider unreasonable risks. What keeps you so passionate about climbing after so many years? It’s actually surprising to me that climbing still remains so fascinating after all these years. What I think it is, is that it’s a whole body sport. It’s really my thing… it’s a moving meditation for me and something i truly enjoy on an aesthetic level. When I get out, I feel playful and I have a very childlike sense of spirit. Honestly, if I do not climb for a period of time, I get slighting depressed. Climbing just makes me feel good. There seems to be a phenomenon right now with female “model” athletes. What is your take on that? I believe in femininity and attractiveness and I think that strong women are naturally attractive. I don’t think that we need to play the old stereotypic role, I think we are beyond that now. I also feel the same about the way men are portrayed. I do not want to see a view of a man that is contrived, but I would be happy to see an awesome fit, man doing his thing. You don’t need to try to pretend or try to contrive anything. Climbing is beautiful enough and the people that climb are beautiful enough, they don’t need to make it seem like a photo shoot. Even if the reality is that the images are for a photo shoot, which the reality is that there is a certain amount of preparation involved in doing getting beautiful images. We should do our best to deliver imagery in an authentic way. What are the biggest changes in climbing you’ve seen in your career? The sheer numbers of people climbing now. Now we have parking issues, we have access issues, trail erosion, human waste, trash… things like that. That’s normal when you have a large number of people climbing in an limited area. So, we have to be respectful of the environment and each other in order to have a nice experience out there. Or we just have to walk further to areas that are lesser known or just not as popular because you have to walk. I actually like walking and very much enjoy climbing in relatively pristine places. Sometimes it’s nice to see your friends at a climb and it’s a nice community, so I can’t say that I don’t like to see the people. The other side of that, is that sometimes it’s unpleasant when everyone is waiting in line for a route, or some people are screaming and being distracting. That detracts from the experience for me and probably for others as well. We have to respect each other, have common courtesy and maybe walk a little bit further. This climber that starts in the gym or approaches speed climbing, has bypassed the phase that I went through when I learned to climb on crack and slabs. Slab climbing is something that people don’t know how to do these days or rather, as well as we did because that’s pretty much what we had — slabs and cracks. Slab is a great way to perfect your techniques, you have to be so precise! If I wasn’t a slab climber, I would not have been prepared for the “changing corners” pitch on The Nose. Slab climbing is a highly overlooked aspect of climbing. People that are talented climbers that have a very natural approach to life and others and that are humble. Ashima Shiraishi, is so young and climbing at such a high level. It’s very impressive. She recently recently did a 5.15 and it only took her 4 days (and she is only 14). She’s very graceful to watch and she’s also a very gracious and hard working person. 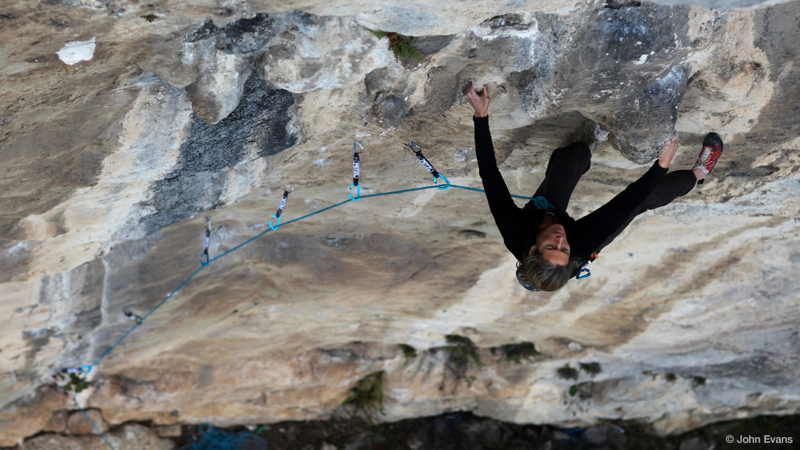 Alex Megos hasn’t been climbing very long and has already done some of the hardest onsites in the world. People that can onsite at such a high level show a tremendous degree of talent. The Pilgrimage by Paulo Coehlo I really enjoy his writing. It’s kind of a light philosophy and he always has messages in his stories. Confederacy of Dunces by John Kennedy Toole – it’s a ridiculous book but it makes me laugh. The main character that is critical of modern society. If you had to climb one particular area for the rest of her life, what would it be? Why? Céüse, France. Although now it’s very popular and crowded. I would more likely pick some place that isn’t as well known. Right now, I don’t really know where that would be other than way out in the mountains where nobody can reach it. Some place like the Radicon in Switzerland, it’s a big limestone cliff with multi-pitch routes. Some of the routes are a little scary, however, because the people that put up the routes made big long run outs. Yosemite is also definitely up there, but after a while granite is kind of harsh. Jamming your hands in cracks is really brutal so if I had to climb there every day I would get pretty worked. But I do really like the beauty. What I most like about Yosemite is the beauty and the fact that you have to work hard to do anything there — you have to hike a long way, you have to carry your gear, you have to be good at route finding. You also have to be good at trad climbing and face climbing, both. Although it’s not like the European limestone in terms of the steep athletic side, I find that the aesthetics make up for what it may lack in that steep athletic style of climbing. What do you recommend — indoor or outdoor climbing? I think people should climb outdoors just because it’s good for the soul. You might not get the same workout because when you are climbing outside– it takes more time to get there, takes more time to set up the routes than if you were to go bouldering or go to a climbing gym, but the benefit is that it’s typically a more enjoyable experience and more varied. 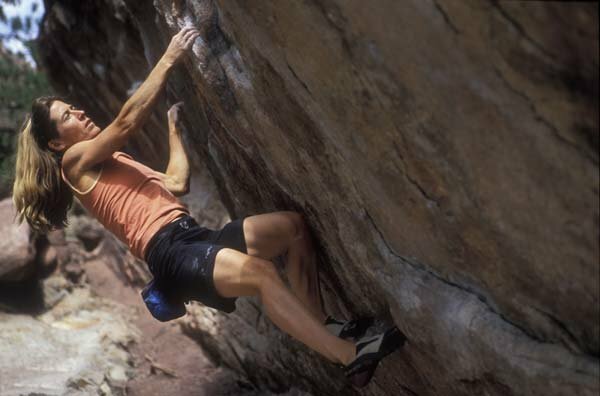 If you are climbing a route outside, the climbing the style is different and you have a lot of types of moves. It’s definitely more subtle than a climbing wall. The holds in a climbing gym are very distinctive. The holds outside are smaller and more subtle. I think it’s good for our technique to go climbing outside and learn how to use the subtle features of the natural rock. Lynn to Martina: Have you done Levitation 29? Martina: No, I’m training for it. Lynn: Awe! It’s a beautiful route. It’s one of the first sport routes in America. I think the hardest pitch is really second or the first pitch where it goes over the roof. But the rest of it is just so beautiful face climbing. Martina: I’ve heard, but I’m planning to do it in a month or after the summer. Lynn: Get an early start, it’s a long hike out there but it’s a beautiful place. Martina: Do you have any training recommendations? Lynn: I would say go bouldering, that will get you strong. But it also requires endurance, I would make sure you feel good doing 10 pitches of climbing in a day. So, even if they aren’t all hard pitches, i would try to get that kind of mileage. Maybe you’d like to read this too? I want to thank Martina Zandonella for helping me out with Lynn’s interview. Also Jackie from Discovery for setting it up. And most importantly, Lynn. Thank you for taking the time out of your busy schedule to conduct an interview for Rock Climbing Women. Want to see more interviews and posts like this? 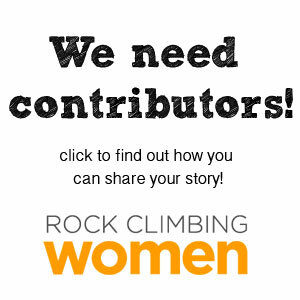 How about sharing your own Rock Climbing Story? We want to hear from you! Mckenz- as a newer climber that isn’t familiar with all of the who’s- who’s in climbing, I really appreciate reading the interviews you’re doing. These women are killing it out there and it’s so inspiring to see what they’ve accomplished. Thank you! Thanks, Kelsey! We all have a little story to share about climbing 🙂 Thanks for the comment!